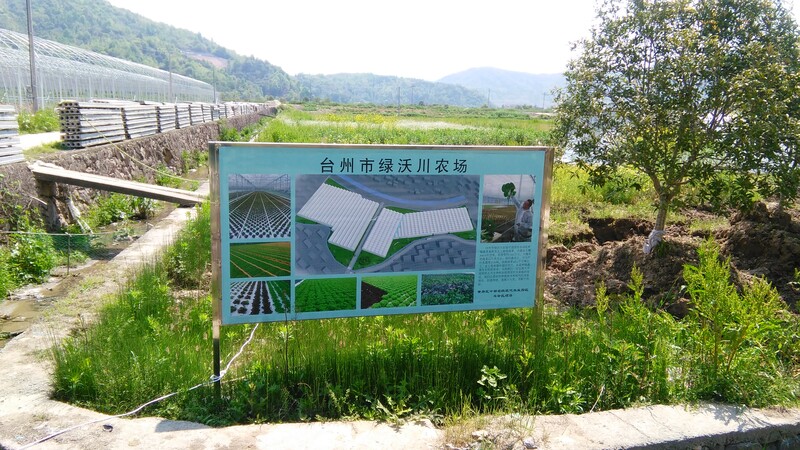 In 2015, a 2-hectare greenhouse in Lüwochuan (China) was built. 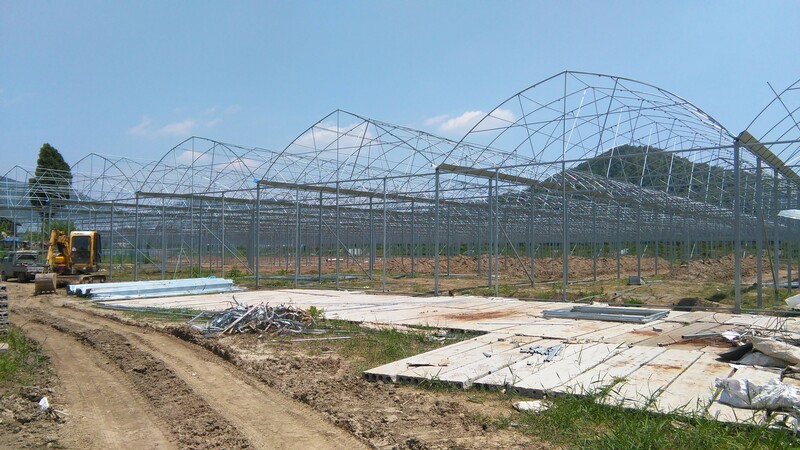 This greenhouse was fully designed by IPS. We designed both the construction, growing and all necessary water and climate equipment. 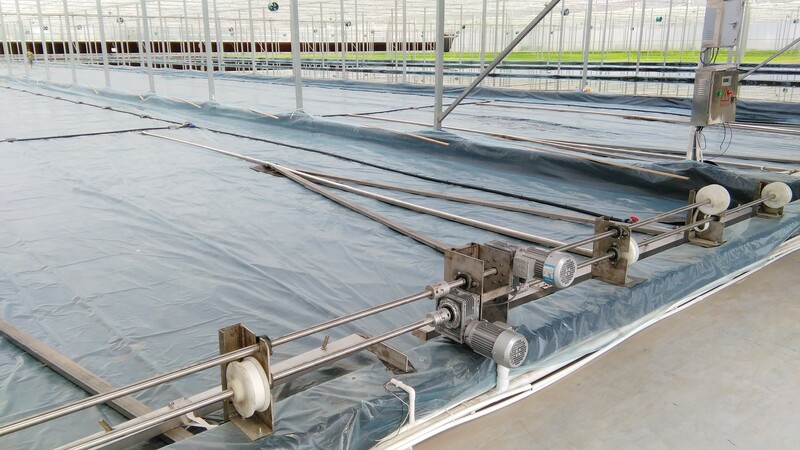 The greenhouse was furnished with one hectare suitable for production of young plant lettuce and one hectare with ponds for a DFT system. 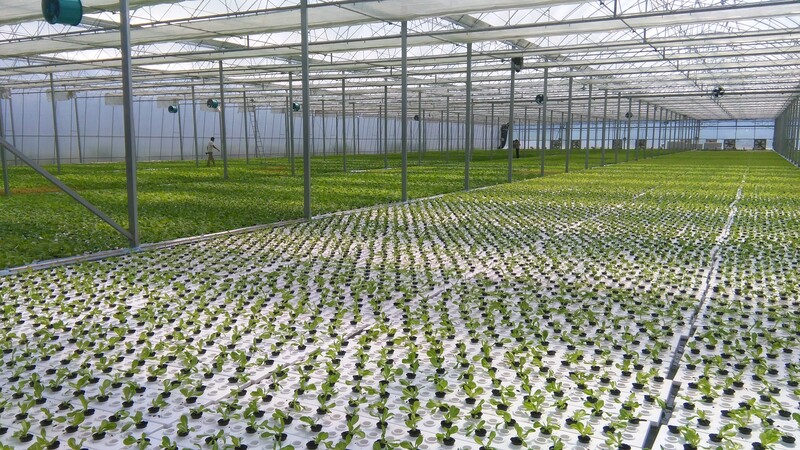 The complete growing process can be done inside this one greenhouse. Seeding and transplanting the lettuce seedlings to pots is done automatically. The pots are then manually placed in floats. Cranes transport the floats into and out of the ponds. Before harvesting, roots of the crop are cut of automatically by a so-called ‘root-cutter’. IPS also delivered the infrastructure of conveyor belts and turning points.